After MANY years of reviewing ukuleles, it's finally happened. AT LAST we have a Fender brand musical instrument on the reviews bench. Their new Fender Montecito Koa Tenor ukulele. So whats going on here and why is this the first ukulele from one of the most well known instrument brands on the planet? Well, it's not through want of trying and believe me, I have tried for years for Fender to engage with Got A Ukulele only to be met with silence. It seems when you are as large as Fender perhaps you don't actually NEED reviews to help you along... Perhaps they just don't like engaging with the ukulele community, I just don't know. 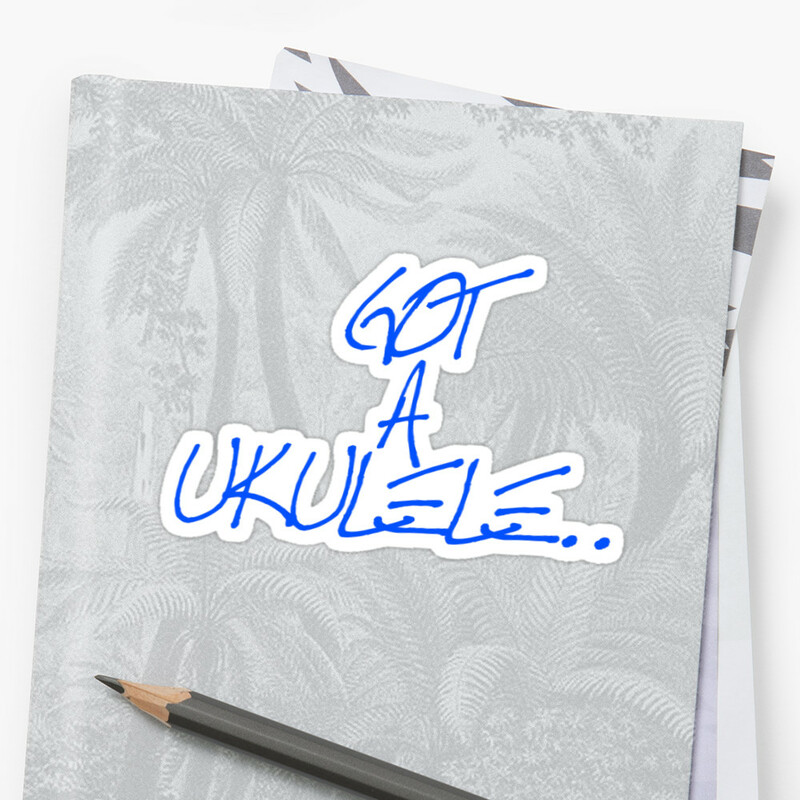 Though there may be something in that final statement, as whilst you will easily find Fender ukuleles on the shelves of the bigger name, branded high street music stores, they just rarely appear in what I would call the 'specialist' ukulele stores. 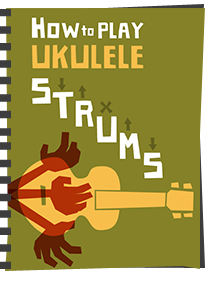 In fact, at the time of writing this review none of the true ukulele stores I recommend in either the UK or the USA carry Fender ukuleles. 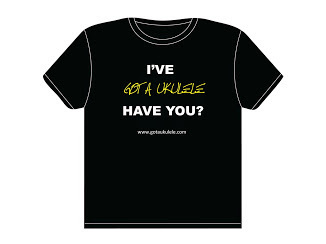 Furthermore, you see very little discussion about them on the usual ukulele forums and groups either which is odd. Searches on Google for 'Fender ukulele reviews' throws up very little too. Very odd that. 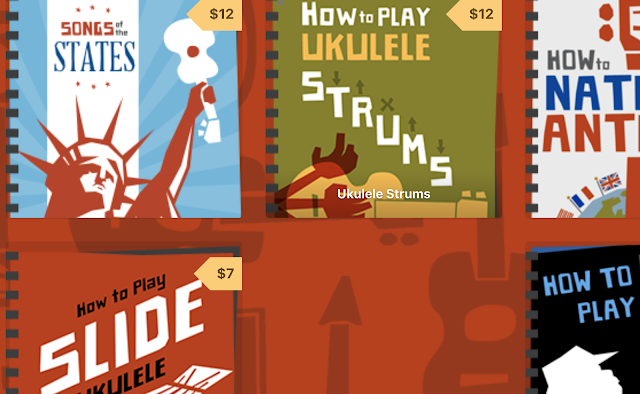 It's almost like they are making ukuleles that are completely outside the ukulele community as I know it. 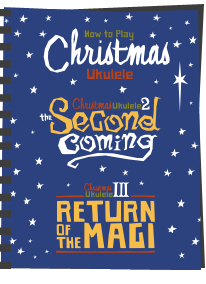 So for clarity, this one is appearing on Got A Ukulele because I bought it myself! Anyway, the Montecito, is part of a new range of ukuleles launched by Fender in 2017. Their range generally seems to have been shunk down to a smaller number, now being made up of a selection named after Californian beaches, and ranging from the simple cheap entry level laminates to the more expensive solid wood models. The Montecito (named after a beach near Santa Barbara) sits at the upper end of the range in terms of specification. Don't get too wistful about those Californian names, this, like all Fender ukuleles is made in Indonesia. And you know - ukuleles, beaches, how delightfully stereotypical... Incidentally, this specification appears to be almost the same as their previous Fender Nohea koa tenor, but more on that in a moment. This one is tenor scale, in standard double bout shape, and at first glance is a very attractive instrument, I am sure you will agree. The top is made of two book matched pieces of solid koa, with the dead flat back being made from a single sheet of laminate koa. The sides are a single bent piece too which isn't what you normally see on a tenor. It's all finished in gloss which helps set off the wood grain, but it's really only the top that is particularly pretty. The back and sides are distinctly plain on this one. So apart from looking identical to the Nohea ukulele and being the same price (strangely) this differs in that the Nohea has a laminate top whereas this replaces that with a solid koa top. Decorating this instument is some abalone purfling against the cream edge binding that adorns the top and back edges, whereas the back purfling is black. The abalone is repeated around the sound hole and it's both nicely done and also very classy looking I think. No complaints with the decoration from me. Bridge wise this is a nice, diminutive slotted style bridge made out of what Fender describe as Sonokeling on their website (Indian Rosewood) though dealers are referring to as 'laminate hardwood'. It looks like rosewood to me, and that surprises me for a new 2017 model that launched after the change in CITES restrictions. The saddle is made of bone and I really do like this bridge plate for the small size. I'm not actually much of a fan of enormous bridge plates on ukuleles as feel they can restrict the vibration of the top. Nice to see this small simple style, which is more typical of Martin. Looking inside and things are tidy enough. The kerfing is not notched, but the braces look delicate and there is no glue showing anywhere. Up to the neck with it's attactive capped heel, and this is made of Nato in three pieces. Nato is often referred to as 'Eastern Mahogany' but it's actually not the same species, rather it's the wood of the Mora tree. It is however hard and reliable like mahogany and often used as a cheaper alternative for use in necks. It's in three pieces with a joint at the heel and one nearer the headstock, both of which are fairly well hidden. It's finished in the same gloss which I'd rather not have on a neck myself. Sadly it's also quite narrow for a tenor ukulele neck at just under 35 mm at the nut. Topping this is a rosewood fingerboard which surprises me in the way the bridge does. This is nicely edge bound with more cream strips and it is fitted with 19 nickel silver frets and 14 to the body joint. We have pearl outward facing dots at the 5th, 7th, 10th, 12th and 15th spaces and these are repeated with small black dots on the side. All very nice. I do like necks that are edge bound with a pale strip against the dark fingerboard wood. Beyond the bone nut is something that I just don't think works, and that's the headstock. Yes I KNOW this is a trademark Fender shape (it's the Telecaster headstock to be specific), but it's iconic on ELECTRIC guitars. I really don't think it suits acoustic instruments and for similar reasons for me not liking them on Fender acoustic guitars I don't like it here. My view is purely an aesthetic one as I can't see what actual difference it makes to the job it is designed for (holding the tuners), but I just don't like it. And this from a man who's favourite guitar is a telecaster... Irrational perhaps, but there you are. Anyway, it faced in more koa and the trademark Fender 'spagetti' style logo is screen printed under the gloss. For tuners we also have something that for me would be more at home on an electric guitar with a set of sealed chrome gears with large square covers like on vintage Kluson brand pegs. I think they are totally over the top on a ukulele and just look plain wrong here. Sure, the buttons are small enough, but the huge square covers just look odd to me. I want delicate and simple on a ukulele not this. The package is completed with the addition of a branded soft gig bag (which I would want to be FAR thicker - in fact it's really rather pointless) and strings that Fender specify as 'standard tenor uke' strings. They look like Aquila on the C, E and A, and the G is a wound string for low tuning. Forced wound strings never please me. 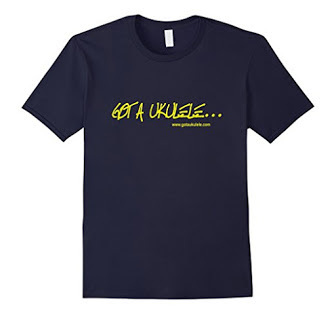 Give me a uke with re-entrant strings and let me decide if I want a low G or not. And that package has an RRP of £210 in the UK and about $250 in the USA. My first reaction was that's a bit of a high price for a ukulele with only a solid top, albeit a koa one. Bu then again, looking around for similar specced instruments took me to the highly regarded Laka VUC90 which is also a solid koa topped instrument, but that is a concert and doesn't have the same level of decoration or a gig bag. They are £179, so perhaps £210 for a tenor with some more decoration is not so out of the ordinary after all. Time to play it. And I will say from the off that I was not expecting great things from this one for reasons of history. You see, I have been playing guitars for far longer than I have ukuleles, and as much as I adore Fender electric guitars (have owned many and still own an American Special Deluxe Stratocaster which I would run into a burning building to save), I've never ever liked their acoustic guitars though. They have always sounded a bit dead and heavy to me. Also bear in mind the fact that I have played a few Fender ukes, albeit more basic ones than this and didn't really like them either for the same reasons (over built, lifeless, typical guitar brand ukes) and you can see why I was sceptical. Still, I want to approach this as impartially as I can. Perhaps things have changed with this new range of instruments. The only way to check was to grab one and spend some time with it! First up, the build quality is very good all over. The joints are tidy and the gloss isn't overdone. It looks and feels nice in the hands. It's a little heavier than you would expect it to be, but to be fair it is well balanced in the hands and is no brick. Setup is ok - great at the nut, but a little higher than I would like at the saddle. Otherwise no huge complaints. That narrow nut bothers someone like me with big hands, but it's still playable and feels nice to hold. And actually the sound has really surprised me in a good way too. 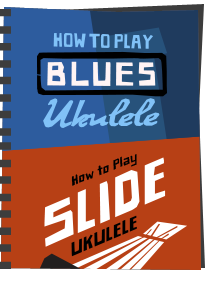 Dealing with the negatives first though, it's really not the loudest tenor ukulele I have ever played. That's not to say it is overly quiet, but something feels like it's throttling it back from really barking and punching out. I am probably being a bit picky here but there you go. It's really it's not hugely bad, but it was enough for me to notice it on the first play so I am mentioning it. On the plus side though, it has a very pretty voice. Bright overtones from the koa no doubt and an almost shimmery sound when strummed but particularly when fingerpicked. The sustain is really decent too meaning it's super easy to get some vibrato into picked notes. And the clarity of individual notes in the mix is rather good too. It all adds up to a very nice sounding ukulele I think. Its a tone that is really enjoyable on the ears, almost relaxing and sweet. Very nice. So it's a mix really, and an irritating one at that. If the instrument was a bit louder, it would be a killer uke, but then I wouldn't want it louder at the expense of the tone being less charming. A shame we can't have everything. I agree about the headstock I have an early Pa'ina tenor and it wont fit in any standard ukulele hard case I can find. It only just fits (with a little stretching) into a soft gig bag. Nice to see they're getting the sound right as I haven't been overly impressed with them in the past. I've heard the electric guitars aren't what they used to be either so I sort of assumed they were riding on their past reputation. I could never get past that headstock on an acoustic uke though, but I imagine it appeals to some. Actually, that 'tele' headstock isn't a design affectation, there's actual science behind it. All the strings on a Fender headstock travel in a straight line from the bridge to the tuning peg, which minimises binding at the nut, & so helps tuning and intonation. Compare that with a uke's traditional 'Gibson-style' headstock, as these three videos below do, and you'll see the difference. Why your Gibson has trouble staying in tune. Yeah, I get that Paul, but it didn't do Kamaka, Kanile'a, Koaloah, Martin etc any harm, and Fender are hardly the go to brand in ukulele players. (Your 'reply' feature doesn't work btw. You can't 'reply' to a comment here, you can only add a new one). It's personal opinion but if I buy a Fender anything I want a Fender headstock. I have to agree with Baz on this regarding the headstock, it just looks wrong! Now with regard to “Gibson’s going out of tune”, I’ve owned Les Paul’s, Strat’s, and Tele’s and never had problems with the Les Paul going out of tune easily, in fact the Strat was the one that easily went out of tune.